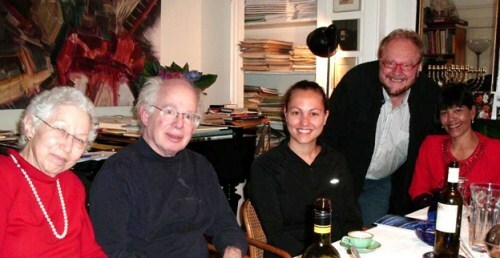 Dinner and Music – Hosts Berthe and Gary Goldschneider invited Paul Penders, his daughter Katja (center), and wife Salina Abdullah for a very special and memorable evening in the Netherlands. Note the music scores behind them. Would you fly across the world to go to a piano recital? Paul Penders did. Gary Goldschneider will. After hearing his music, maybe you will too. Paul’s long-time dream is coming true. After hearing world class pianist Gary Goldschneider perform in Amsterdam, Paul dreamt of inviting him to Langkawi island in Malaysia. Bringing the beauty of Western classical music to meet this exceptionally beautiful place in Asia seems like a perfect marriage. This small rainforest island in the Andaman Sea near the border with Thailand provides many treats for its approx. 70,000 residents and several million visitors. But so far as anyone can tell, this is the very first time that there has been a recital of Western classical music. Another first among several – it will be the first time that this much-traveled concert pianist has ever visited Asia. It is our hope that this is just the first of many visits! 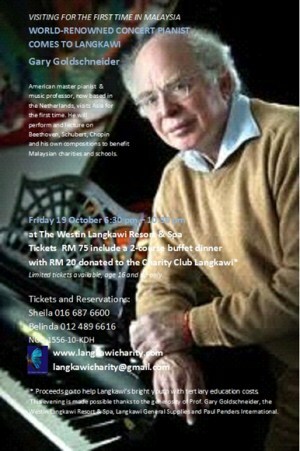 Should you be in Langkawi, Malaysia on October 19th, please let us know. Gary Goldschneider will perform Friday evening at the Westin Langkawi Resort. The program will be a benefit for the Charity Club Langkawi and proceeds will go to support underprivileged youth who could not otherwise continue tertiary education. And if you would just like to relax and dream yourself, please visit Gary’s website at www.goldschneider.com to listen to some truly lovely classical music. For further information about Professor Goldschneider’s visit to Malaysia, visit www.langkawilifestyle.weebly.com or write langkawiwork@gmail.com. Do you know…what moisturizers do? Oh, these last hot days of summer! Days when we crave moisture — the splash of a fountain that refreshes as you walk by, a plunge into a pool, a long cool drink of water… Your body thirsts for moisture in summer heat – and unless you live in the tropics — you can look forward to the long dry months of winter as well. I’ve just come indoors from gardening, feeling all hot and sweaty. I shower off and pass by the mirror. Shockingly, instead of looking refreshed, the skin on my neck and face looks wrinkly; the creases and age lines much deeper than they were this morning. I’m all wet but my skin looks dry – how can this be? Is it the sun? I’d carefully smoothed on an SPF sunscreen but still my skin looks a bit sun-damaged. Must be the soap. Being dirty, I’d washed with an antibacterial product which seems to have sucked the last bit of moisture out of my skin. Quickly, I head to the assortment of Paul Penders products that I have lined up on the dresser. There’s one called ‘Hydrating Control Serum.’ Hydrating – that must mean it adds water to the skin. Yes, just what I need! I dab the white cream on – and the results are instantaneous! My skin instantly looks normal again! What’s in this ‘magic cream’ anyway? Coconut oil is great for your skin. I have embarked on an adventure – ‘traveling’ through the product line and trying to learn more about their ingredients and formulas. I’m no scientist but I know what “feels” good. So often I just grab the nearest product rather than spending time to research and make an informed decision about whether it will be good for my body. Getting moisture into skin by using a “moisturizer” is a case in point. Each morning, I apply A.M. Moisturizer which is a light cream which contains lavender and aloe vera extracts, and fine calendula and flaxseed oils. I like the light fragrance of lavender – there’s something both calm but energizing about it. Before bed, it’s time to get more serious with the P.M. Moisturizer, a lotion that’s concocted with avocado and cranberry, as well as the seed oil from the jojoba plant that survives in the most desert conditions. This product has won awards in the U.K. two years running. An “occlusive” moisturizer acts like another coat for your skin – especially useful if you will be out in the wind or strong sun. On dry days – whether the weather is hot or cold – you will want a “humectant” to draw water from the air onto your skin. If you have stressed your body in some way, through poor diet, lack of exercise, accident or illness, or simply working too hard, your skin will show it. To restore its natural balance, look for “restorative” products that provide vitamins, minerals, amino-lipids and other skin-healthy ingredients. All three of the products described here act as occlusives and humectants. With the addition of Paul Penders exclusive Organic LevensESSENTIE Gold® and other ingredients, they all also act as “restoratives” to support your skin’s natural health and most beautiful appearance. This is the eighteenth part of our series where we take a look at all the 22 ingredients in Paul Penders’ patent pending LevensESSENTIE Gold® herbal extract which is a part of all Paul Penders products. Rosemary (Rosemarinus Officinalis) is an aromatic herb that “warms” and stimulates circulation. Its astringent (ability to contract body tissues and canals) and antiseptic nature stimulates metabolic processes in the skins dermal layer. 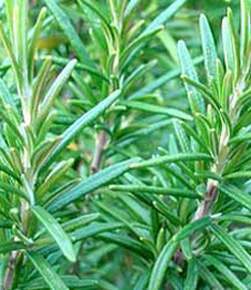 Rosemary is a woody herb with fragrant evergreen needle-like leaves. It is native to the Mediterranean region, and grows up to a height of 1.5 meter (5 feet). Flowering is very common in a mature and healthy specimen. 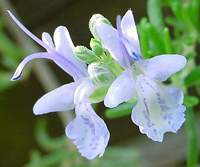 It blooms in summer in the north; but can be ever blooming in warm-winter climates and is variable in color, being white, pink, purple, or blue. The name rosemary derives from the Latin name rosmarinus. “Ros” = dew, and “marinus” = sea, which forms the name “dew of the sea” — apparently because it is frequently found growing near the sea. Rosemary is extremely high in iron, calcium and Vitamin B6 and is a powerful anti-oxidant. In herbal medicine, rosemary has traditionally been used internally to stimulate appetite, as supportive therapy for rheumatism and circulatory problems, and for headaches, as well as for nervous complaints. Externally, rosemary helps to increase circulation and is very often used in hair care products and lotions as it stimulates the hair follicles to renewed activity and prevents premature baldness. Because of its good antiseptic properties, rosemary is traditionally used for hair and scalp stimulation. 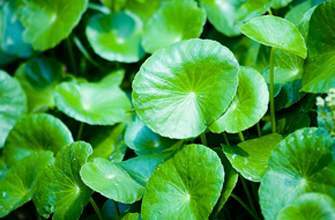 Furthermore, it has analgesic as well as antibacterial, antifungal and anti-parasitic properties. Natural organic Rosemary is an essential part of Paul Penders hair and scalp treatment products. As well as the finest natural organic rosemary is an obvious integral part of LevensESSENTIE Gold® herbal extract – the basic ingredient of all Paul Penders products. Like its name, the “Galangal” plant species has spread across borders. 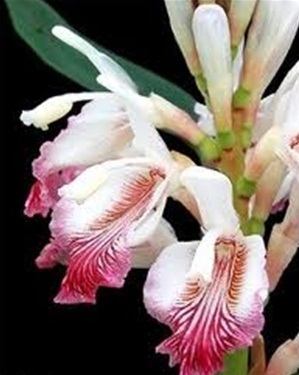 You would recognize both the flowers and the root as some kind of ginger, a member of the Zingiberaceae family. 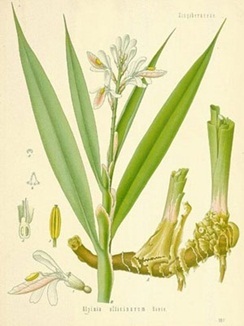 Used in many Asian recipes as well as for cosmetic and medicinal uses, it is known as “lesser Galangal” or simply “Chinese ginger.” The rhizome (root) is ground up into a powder and is the main ingredient in the marinade for the ever-popular Asian satay barbecues and in “detox” and stomach-settling drinks. That same powdered galangal is used for its warming properties in a popular Malaysian traditional body scrub used nowadays in spas across Asia. The exfoliant consists of ground rice, turmeric, nutmeg and galangal and is said to stimulate circulation and metabolism as it cleanses. Western medicine and science has started to ‘wake up’ to the wisdom of traditional medicines. The British Journal of Cancer published a paper in 1999 jointly written by an Italian and a Chinese scientist noting that ‘galangin’ is a flavonoid with evident anti-cancer benefits. It has been reported that lesser galangal extract was found to kill cancer cells and promote the ability of healthy cells to resist carcinogens. Paul Penders International is based on a tropical island in the Andaman Sea in northern Malaysia with so many rare species that UNESCO has designated it a “GeoPark.” The galangal herb grows wild in the mountain jungles and the indigenous people have long known its therapeutic and cosmetic value. 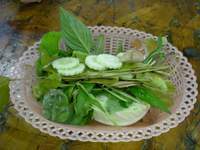 As a tonic with anti-bacterial properties, it has been used medicinally to heal stomach and intestinal ailments, joint and ligament pains, bronchitis, skin diseases, and even cholera. A fragrant Malaysian massage oil uses galangal, coconut oil, cloves, nutmeg, and lemongrass. 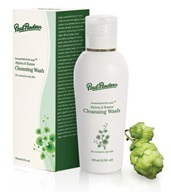 A light, foaming facial cleanser with plant-derived ingredients to gently remove surface dirt and impurities. The natural antibacterial action of Alpinia extract and essential Tea tree oil gently but effectively cleanses normal to oily skin, while helping to normalize sebum production and reduce blemishes.